James is an Oregon Circuit Court Arbitrator for thirteen (13) Counties in Oregon, and a private Arbitrator. His County practice includes the Counties of: Washington, Multnomah, Clackamas, Yamhill, Polk, Hood River, Marion, Sherman, Wheeler, Wasco, Gilliam, Tillamook, and Columbia. He has arbitrated contract, business, personal injury, landlord tenant, real property, business matters, collection matters, leasing matters, employment matters, and many other civil disputes. 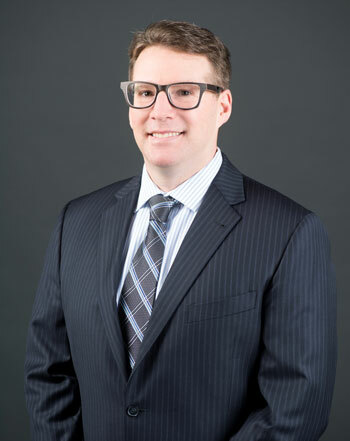 James’ experience as a litigator, business and real estate attorney, Judge Pro Tem, and Arbitrator provides litigants with a fair, reasoned, and experienced neutral decision-maker with a broad range of knowledge. An Oregonian since 1998, Jim was raised in Southern California and obtained his B.A. degree in Political Science with High Honors from the University of California at Santa Barbara in 1997. Jim graduated from the University of Oregon School of Law with a J.D. in 2001 and clerked with both the Oregon Department of Justice and with the Honorable Kip W. Leonard in Lane County, Oregon Circuit Court. 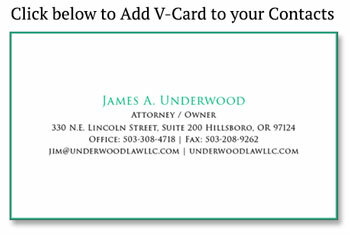 Jim has since worked in both small and large law firms in Oregon and has successfully run his own law firms since 2012. Jim enjoys spending his free time with his family, friends, pets, and wife and enjoys the great outdoors, music, martial arts, photography, and giving back to the community.